Here are a few bold steps you can take to position your company with carriers as a “shipper of choice” and ensure your goods keep flowing. To read a full collection of our ideas, download our eBook: Managing Freight in a Tight Capacity Market. Extend delivery windows to allow more flexibility in scheduling and routing. Offer night pick-ups, decreasing your carrier’s time stuck in traffic, and increasing the chance of your load being handled as a backhaul after the carrier’s afternoon delivery. Ship on off-peak days, when demand is lower, to maximize your carrier’s asset utilization. Work with your carrier to develop shipping schedules that work best for you, your customer AND your carrier. In this tight capacity market, successful freight management logistics relies on “win-win” scenarios for shippers and carriers. By better meeting carrier needs, you will be in the best position to have your own needs met. 2. Consider Dedicated Freight Contracts Instead of the Spot Market for Reliable Capacity. As carriers vie for customers, the resulting price competition yields a better price for the buyer. That’s the premise of the spot market, right? But, as the capacity crunch tightens, you’re not going to be in a position to wait for the best price – you need reliable capacity now. Which is why you should consider changing your approach from the cost-centric spot market to the capacity-centric dedicated freight contract. 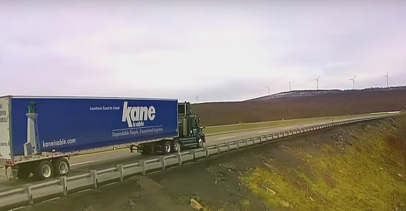 Steady, predictable freight that gives carriers time to mine for customers in the region to minimize deadhead miles. While the spot market often yields an attractive deadhead rate, the same result could be achieved with dedicated carriers, who then share cost efficiencies with you. On a 3-year deal, the rates are locked in for the contract period. In a fluctuating freight market, that could result in real savings. Dedicated freight contracts can provide guaranteed capacity, eliminating the staff time involved in sourcing trucks. Over time, shippers come to view long-time drivers as part of their own team, getting to know them on a first-name basis and relying on them as the backbone of an efficient distribution process. Times of scarce capacity are never easy, and it’s difficult to think about future freight capacity strategies while dealing with daily emergencies. But logistics planning is essential if you don’t want today’s freight management fire drills to become business as usual. To ensure reliable freight capacity, even during tough times, shippers need to rethink how they traditionally work with carriers. Change is required. In a seller’s market, the onus is now on the shipper to become more carrier-friendly, not the other way around.